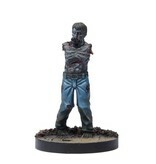 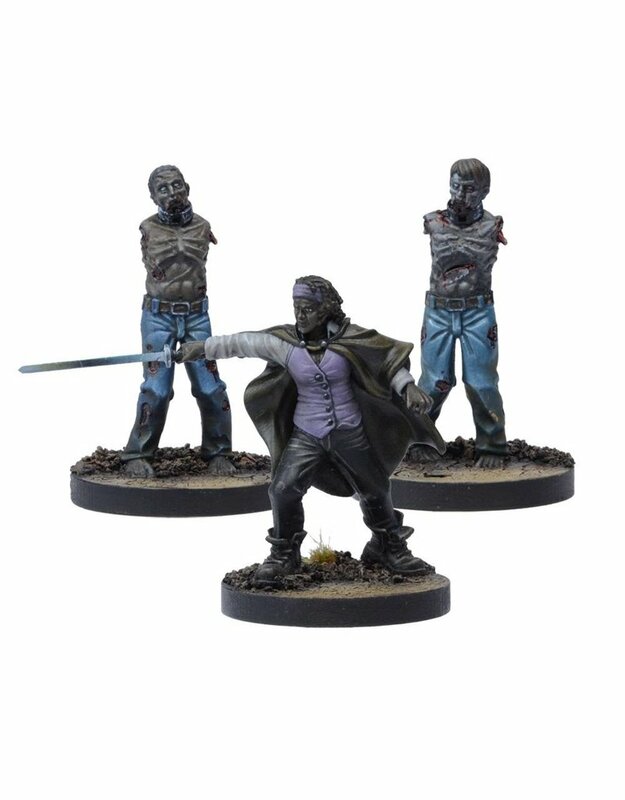 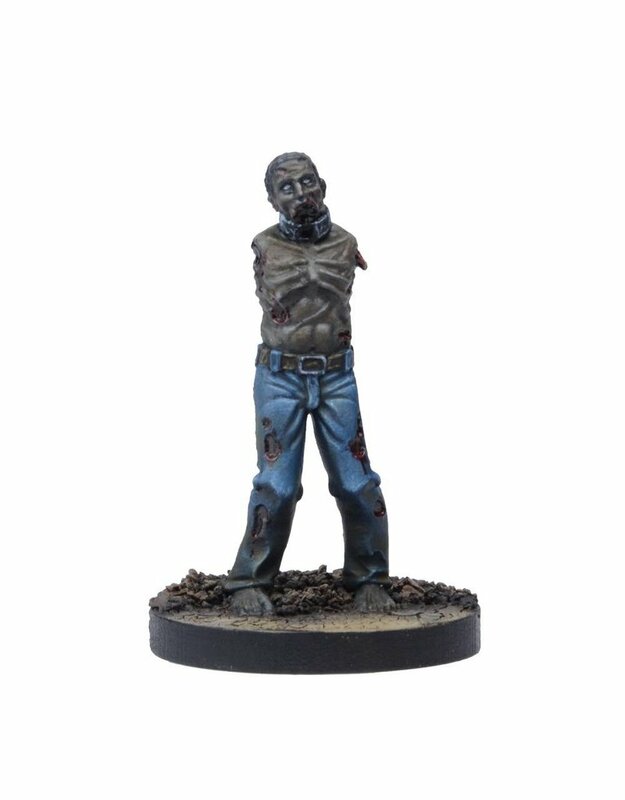 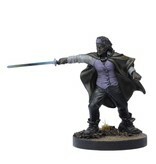 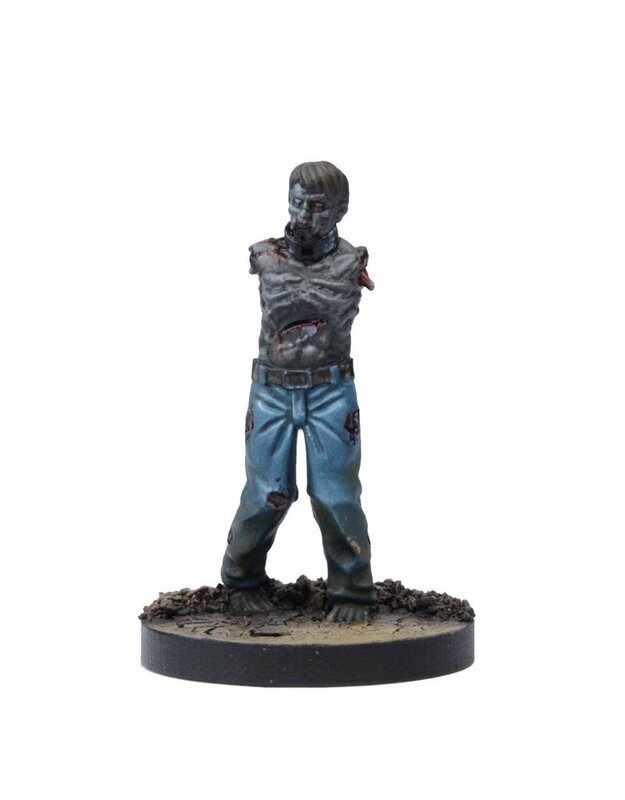 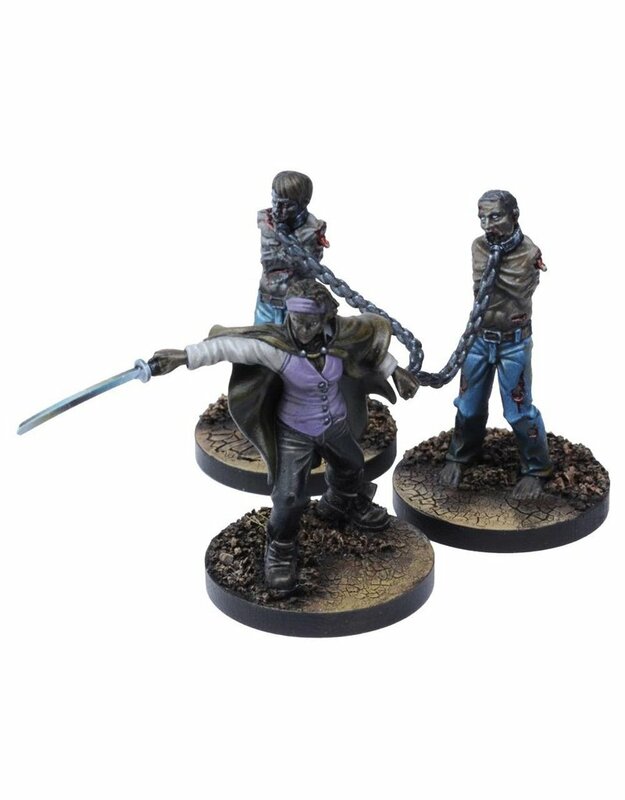 This booster pack contains 3 unique, collectible miniatures allowing you to add Michonne to your games, along with her Walkers, Mike and Terry. 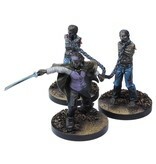 Michonne appeared quite literally from nowhere, clad in a hooded poncho, brandishing a katana, and with two partially dismembered biters chained to her sides. 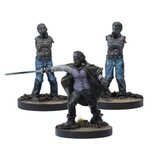 Upon greeting Rick, she relinquished her weapon and joined the survivors inside their stronghold.